"Sort common objects into categories (e.g., shapes, foods) to gain a sense of the concepts the categories represent." One of the items in each group doesn't belong with the others. Can your child find which ones? 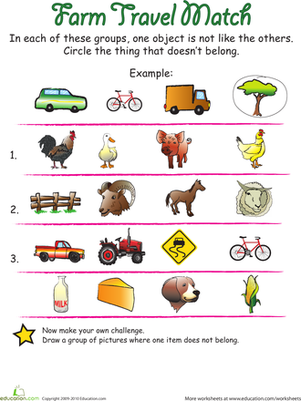 In this reception maths worksheet, your child will practise sorting and categorizing to figure out what doesn't belong. 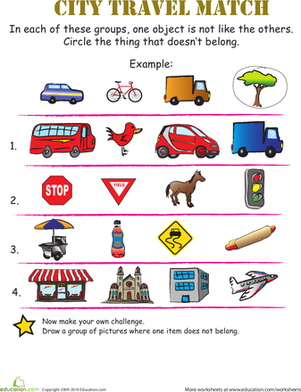 Have an adventure with this road trip match that encourages categorization practise. 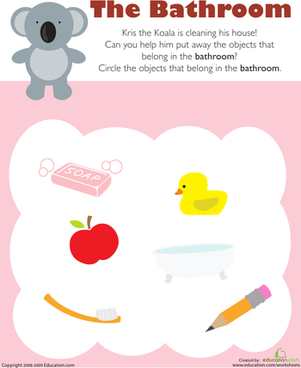 Kris the Koala is cleaning his house, and kids completing this reception sorting and categorizing worksheet help by circling things that belong in the bathroom. 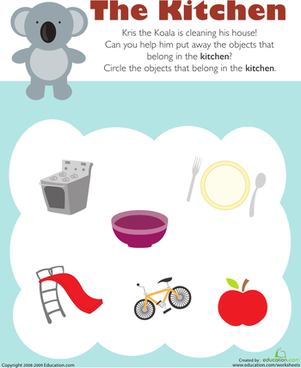 Kris the Koala is cleaning his house, and kids completing this reception sorting and classifying worksheet help by circling objects that belong in the kitchen. 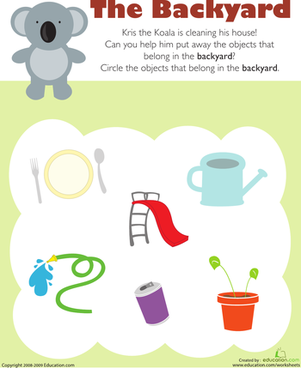 Kris the Koala is cleaning his house, and kids completing this reception sorting and classifying worksheet help by circling objects that belong in the backyard.